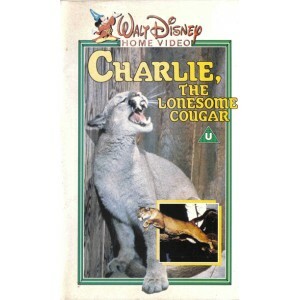 A wayward cougar in the Northwoods wanders into a lumber camp in this animal adventure story from Disney Studios. Charlie is torn between his affection for humans and the call of the wild. Rex Allen provides his usual folksy narration in this documentary-styled feature directed by Winston Hibler. Charlie is rescued as an abandoned orphan by a concerned forester. He becomes the mascot of the lumber camp, but his growing size necessitates his return to life in the wild for the human-friendly cat.